The Lions were back! 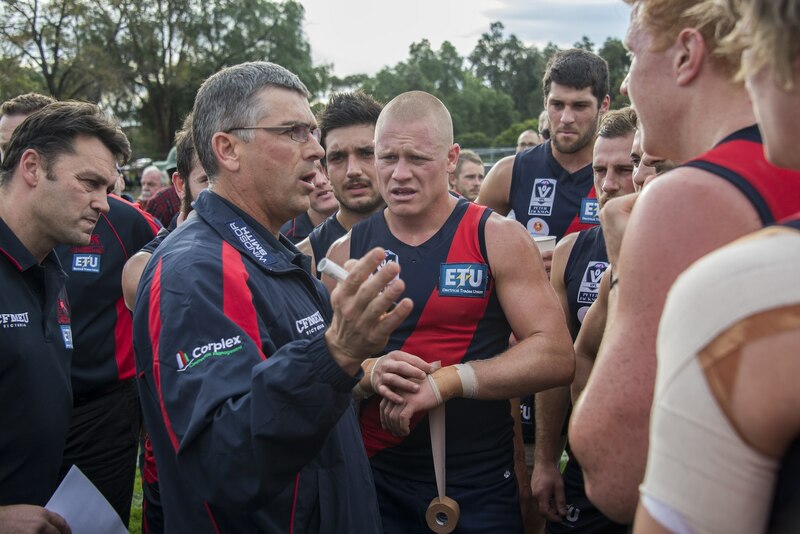 For the first time since 2000, Coburg was a stand-alone club and with that came an enormous task for General Manager Craig Lees and Senior coach Peter German. In summary, 5 wins, 13 losses, mountains of experience to the young crop of talent and a little more respect from fellow competition. It hasn’t been the easiest of transitions for German. Coming across from the Williamstown head post, the evidence was clear on paper that it would be a tough road ahead. “I knew little about the squad, so I never had expectations about the players” he said. Nevertheless, he’s satisfied with his first season in charge of the team he supported as a child. After dropping the first four games of the season, facing the likes of Port Melbourne, Collingwood and Box Hill, the Coburg faithful roared for the first time in Round 5 against the Northern Blues at Preston City Oval as the Lions snuck over the line with a 9-point victory – the club’s only ABC televised game for the season. Following a 34-point loss to premiership contenders Footscray, the Lions headed on the road trip out to Queen Elizabeth Oval to face Bendigo Gold. A morale boosting 68-point win and a relatively healthy bill of players and it seemed nothing but happy days ahead for the club. However to quote an old saying, football is like a roller coaster and the Lions would be no exception to fall victim to the steep slopes that were ahead. Rounds 10 and 11 served up two significant lapses in consistency mentally as Coburg fell to the AFL Reserves of Geelong and Essendon. A wet and wild day out west at Avalon Airport Oval in Werribee delivered one of the more scrappy contests of we’ve seen. 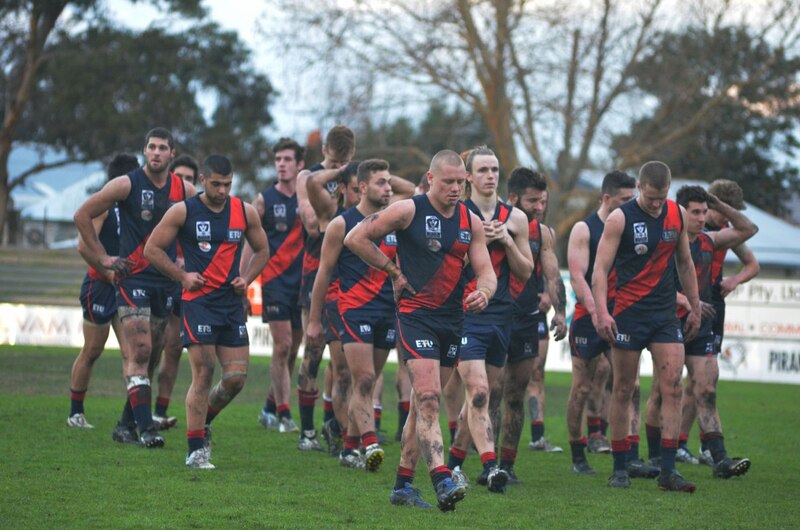 Nevertheless, Coburg was resolute in defence and just ran out of time in a strong second half comeback. A courageous effort in Round 14 saw Coburg have the lead against VFL powerhouse Williamstown midway through the last quarter. Ultimately experienced prevailed and the Lions were left to rue missed chances and wonder what might have been. Unfortunately the slip-up against the Seagulls came at the worst possible time for confidence. An avalanche of injuries followed at mid-week training sessions so much so that the Alfred could have renamed a hospital wing after the club. Next up, Port Melbourne and Box Hill. Facing the calibre of that these outfits present was always going to be a mammoth task and injuries to key stars didn’t help, but German knew that this was a part of the deal. “It’s a bit about us against them, and the players have embraced that mentality. I wouldn’t say I’ve relished the underdog tag, but I always try to go in with a plan to win the game. It actually forces you to coach smarter.” He said. But the Lions became stretched for depth and began to call-up several Calder Cannons and local listed players to fill the numbers in the Development side, and even then there were numbers short on the bench. Round 16 was dominated by club captain Nick Carnell’s 150th game for the club. On the road to Box Hill, Carnell delivered his best game of the season, but wasn’t able to lift his young side over the line as the experienced talls in the Box Hill forward line led by David Hale terrorised the Hartley-Fairbairn-less backline. If nothing else however, the day showed how much Carnell is valued by the Coburg community. His leadership on and off the field is exceptional and German craves player guidance for his crop. “I’d love to get a couple of players who have VFL experience at around 27 years old to help develop the kids, we can’t leave it all up to Nick” German commented. A second half fade-out against North Ballarat eventuated in the following week, and suddenly the Lions had lost seven straight. Despite the decimated squad, German and his coaching staff made the decision for the Sandringham game, to drop a host of players, none more recognisable than leadership group member Daniel Younan. “I just knew that we had to make some changes regardless who it is. Danny was quite open to the fact he wasn’t in form. But positively it gave a chance to someone like Josh Totino to gain senior level experience.” German noted. One of the issues in removing Younan from the side was also the rawness of the Development squad to push for a sport in the first 23. Unfortunately the first half against Sandringham was Coburg’s worst of 2014, as the depleted Lions kicked just the one first half goal, and trailing by 62 points at half time. “That was the only game when the players really got despondent and hadn’t focused on the structure and plan. The first quarter we got shell-shocked, and it’s the only time I felt we had a loser’s mentality about us. But credit to the boys for playing an excellent second half.” German admitted. 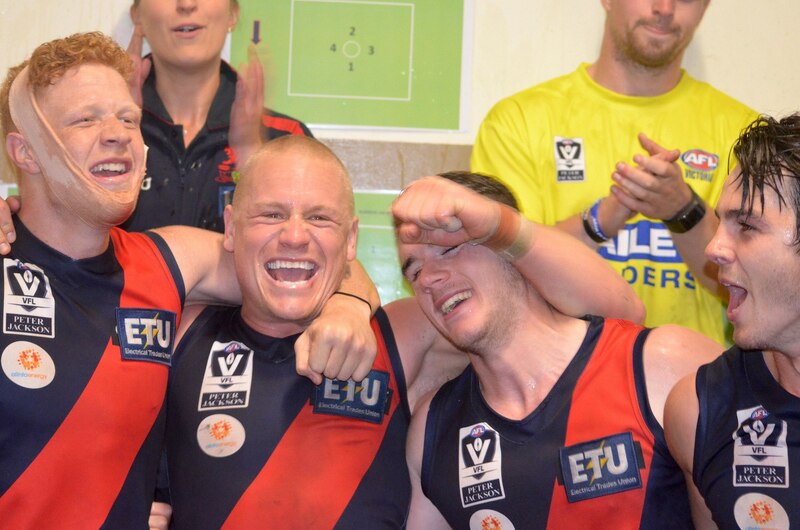 The final two games of the season will be among Coburg’s most memorable of 2014 for obvious reasons. Back-to-back wins against Frankston and Casey to round out the year was a positive finish to a rare but no doubt an exciting campaign. An incredible 33 players made their Senior VFL debut for the Lions in 2014, 26 of which were aged 20 or under, but German is adamant that free games won’t be handed out. “We’ve got to make some hard decisions. We’re not in the business of being nice guys. We need to build a football club with the right people.” He added. Off the field, the club has gained solid financial support under the guidance of Lees, but the club isn’t out of the waters just yet. The quest to rebuilding the Coburg Lions brand is on its way, and whilst there’s still a lot to be achieved, everyone at the club is itching towards 2015 with great anticipation. Keep up to date with all the latest Coburg news by liking us on Facebook, following us on Twitter @CoburgFC, and subscribing to our newsletter here.